Hi, this year there was one and a half months. I think every year, but I feel that go past so quickly one year. 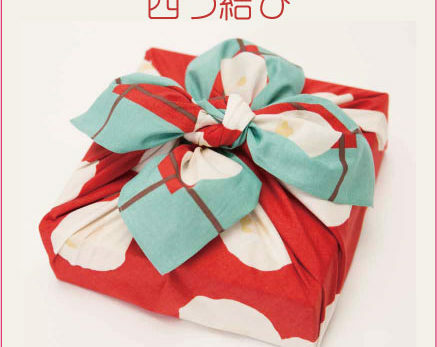 In a season from now, it come to often gather with something such as year-end party, Christmas. 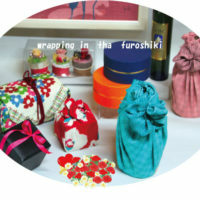 I think it’s nice to bring a gift wrapped by a pretty furoshiki in such a case. 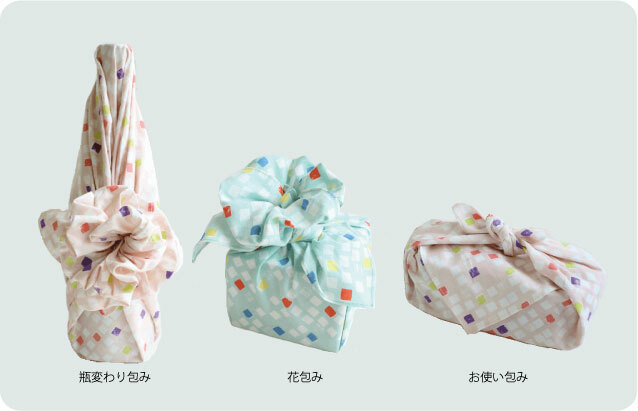 Why don’t you send a gift different from the others? 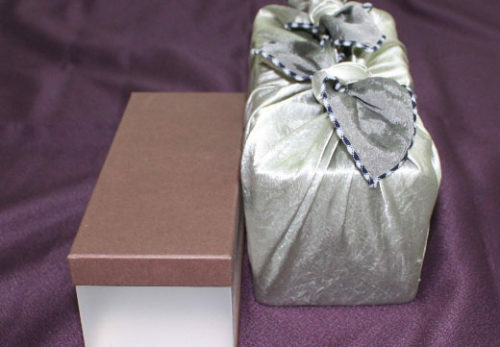 as wrapping items that wrap a small celebration or gifts everyday. 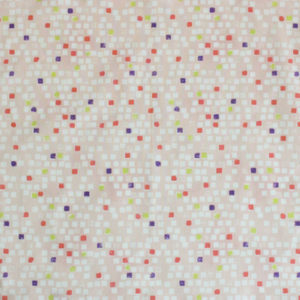 This is the pattern called “Akari” in it. I feel the warm living of people in the colorful square window light. They’re an annual event and the memorial day to give me energy and enrich my heart in such calm every day. 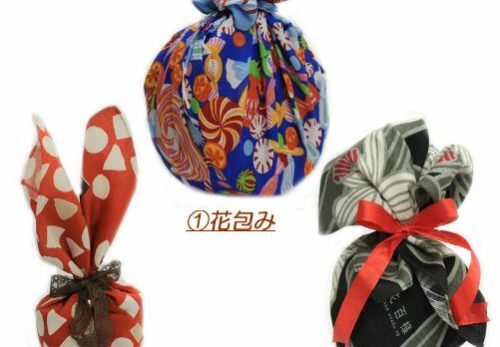 The thought to a partner coming by wrapping a gift in a furoshiki, of course, presented person can use it as foroneself　after that. 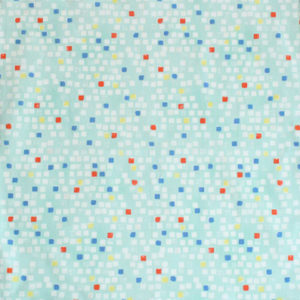 The first one is a “Bin-kawarizutsumi”. 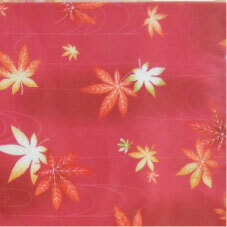 The second one is a “Hana-zutsumi”. 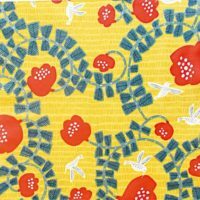 The third one is a “Otsukai-zutsumi”. 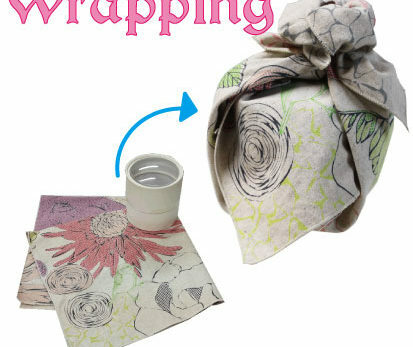 This is the basic wrapping. 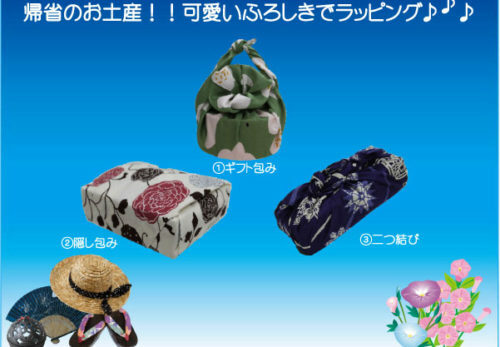 Now, introduce the furoshiki we are using this time.